Browzine lets you choose your favorite journals from the UMass Libraries' collection and Open Access titles, and create your own personal reading room. Download BrowZine by going to the app store for your device and search for "browzine". It's a free download. Next, select "University of Massachusetts Amherst" from the library list. You will be prompted to log in with your NetID. This is the same username/password that you would use to access UMail and library resources from off-campus. 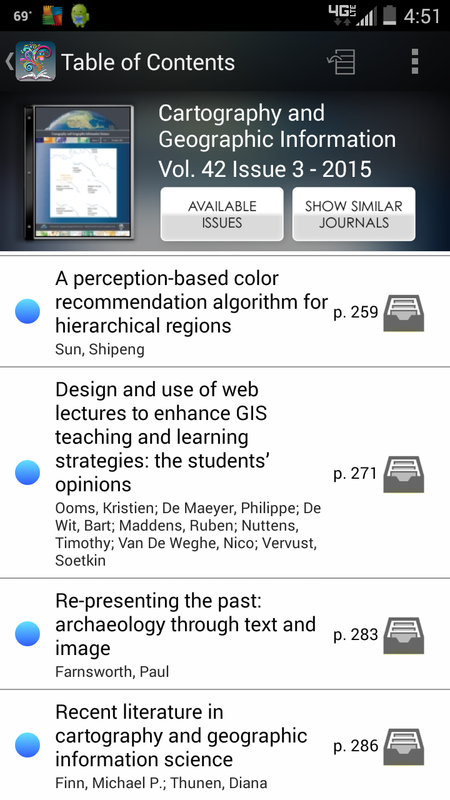 When an article is added to a journal on your bookshelf, you'll see a red dot on the cover with the number of new items. Tap the cover image to open the table of contents, then tap on an article you'd like to read. The article will be downloaded to your device. Use the menu in the upper right corner of the screen to save the article, share it on social media, or send to your citation manager. 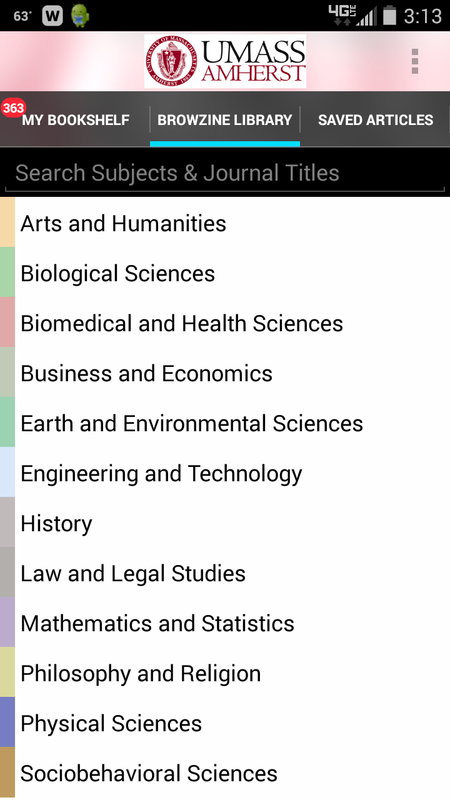 Choose journals from the subject list, or, on an iPad, use the A-to-Z list to find your favorite journals. 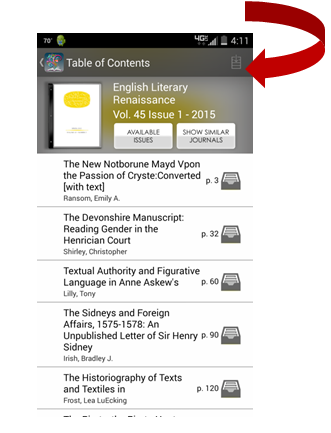 When you find a journal you're interested in, tap the "Add to My Bookshelf" icon in the upper right corner.